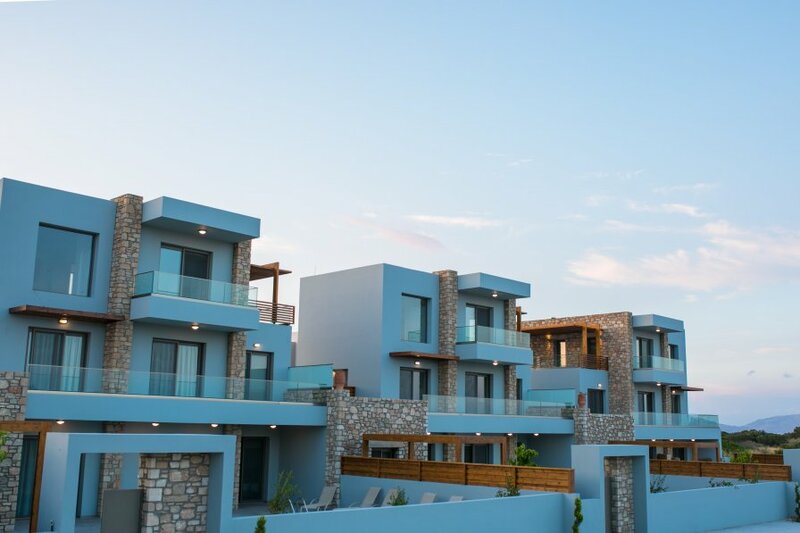 Welcome to our newly built luxury Olive & Stone Villas.All villas have private swimming pool overlooking the famous Gennadi beach, just 5 minutes drive from Gennadi village .An ideal gateway for those who seek relaxing holidays and at the same time wants to be near to everything. Each villas has 3 floors which hosts up to 10 guests, decorated with unique style and high quality furniture. Surrounded by a Mediterranean garden with a large swimming pool, parasols, sunbeds and BBQ. The villa consists of 4 bedrooms with large double beds. The property features a large open plan living room with comfortable sofa, and a flat-screen TV with satellite channels. There is a fully equipped kitchen designed for the needs of modern travelers, with dining table, large fridge, oven, microwave, water boiler, dishwasher and filter coffee maker. The property has 3 bathrooms with a shower. The bathrooms are equipped with toiletries and hairdryers. The property also has a utility room with a washing machine. Free Wi-Fi access is available everywhere on the property.